This Business Joomla Theme is a popular selection if you’re searching to obtain a professional option for a pro business site. If you want a small enterprise single page, or maybe a huge enterprise web site – Joomla certainly is the pick professionals make. The Joomla business theme you see here contains every thing one may require, from present day layout to incredibly functional attributes plus straightforward personalization. This responsive corporate Joomla template looks quite vivid due to animated counters, colorful icons, blue and orange accents, while ghost buttons add a modern vibe to its design. The layout utilizes different sizes of imagery, from full-widths in a slider to thumbnails in article previews. Clearly outlined pricing tables and testimonials provide extra avenues to attract more investment in your business. As for navigation, the template comes with a mega menu, which allows arranging multiple options into groups. It's quite challenging for traditional dropdown menus to accommodate many options, as they load navigation with submenus to excess. There is also an ultramodern authorization tool allowing visitors to register on your site and enter it each time via social accounts. 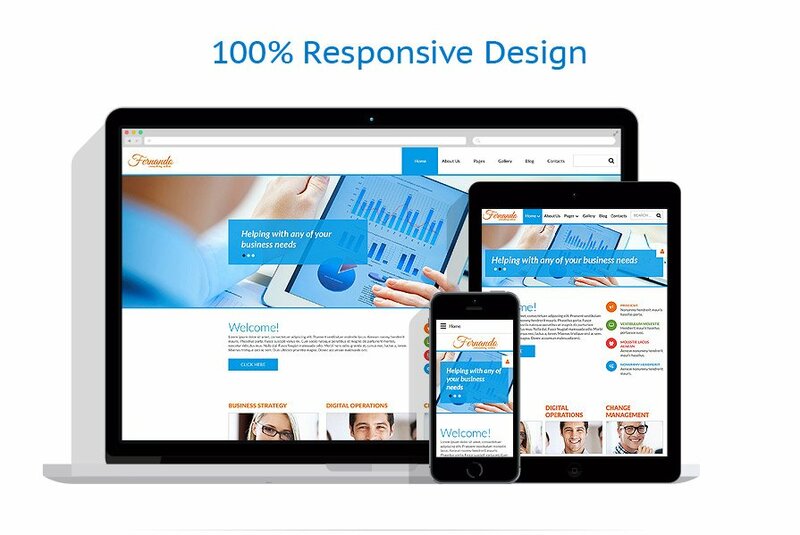 This template is a part of our 20 First-class Responsive Joomla Themes list.